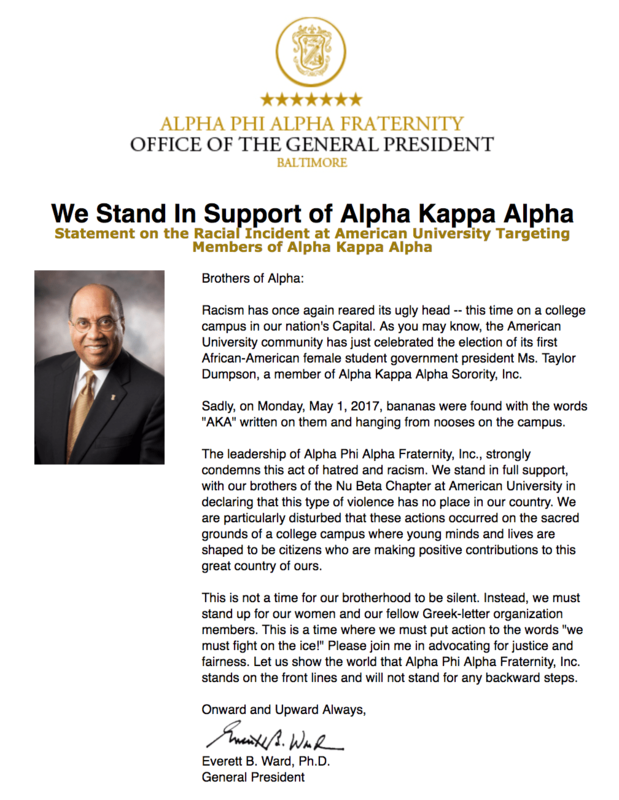 The General President of Alpha Phi Alpha issued a statement today showing solidarity with the women targeted in a racist incident involving bananas with the letters “AKA” written on them found hanging from string “in the shape of nooses” on the campus of American University on Monday. 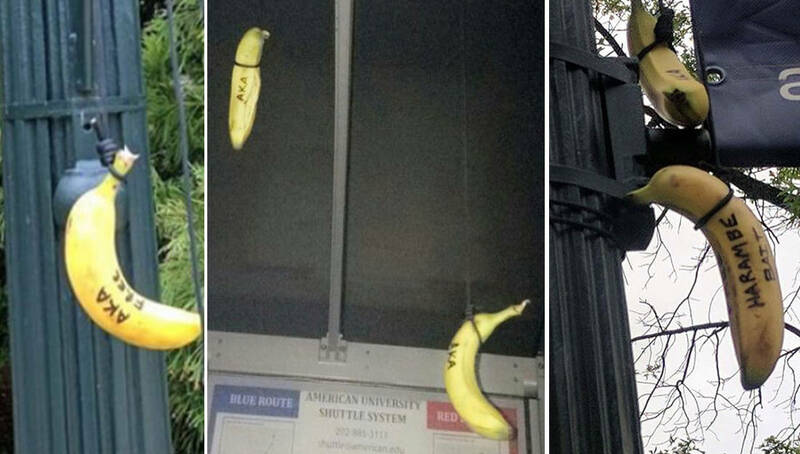 On Monday, bananas marked with the letters “AKA” which represent Alpha Kappa Alpha, a sorority whose members are predominantly African American women were found hanging from string in three different areas on the campus of American University. The University and public are calling this a racial incident and some are connecting this to the possibility that the perpetrator was upset that the school’s Student Government Association president happens to be held by a Black woman for the first time in history who also happens to be a member of Alpha Kappa Alpha. The University and public are calling this a racial incident and many are connecting this to the possibility that the perpetrator was upset that the school’s Student Government Association president happens to be a Black woman for the first time in history and is also a member of Alpha Kappa Alpha. Today, Alpha Phi Alpha’s General President, Everett B. Ward Ph.D., issued a statement regarding the racist act. “Racism has once again reared its ugly head — this time on a college campus in our nation’s Capital. As you may know, the American University community has just celebrated the election of its first African-American female student government president Ms. Taylor Dumpson, a member of Alpha Kappa Alpha Sorority, Inc.,” he stated. Read his full statement below and let us know what your thoughts in the comment section.